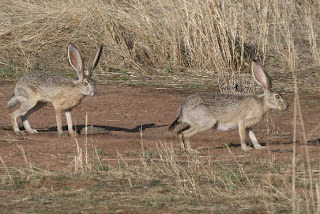 A large, long-eared rabbit of the open grasslands and desert scrub of the West; sides but little, if at all, differentiated from the back; ear nearly as long as the hind foot, with black patch at tip; top of tail with black stripe that extends onto rump; underparts clear, ochraceous buff, paler medially; upperparts dark buff, heavily sprinkled with blackish. External measurements average: total length, 604 mm; tail, 95 mm; hind foot, 131 mm; ear, 125 mm. Weight, 1.5-4 kg. Statewide, except for Big Thicket region of extreme southeastern Texas. The black-tailed jackrabbit, so familiar to those who know the West, is a common denizen of the hot, dry, desert scrubland. It occupies a latitudinal range from sea level to well over 2,500 m on the southwest slopes of some of the desert mountains but seldom inhabits coniferous forests (pinyon pine and juniper areas excepted), although occasionally it may stray into them. In summer, this rabbit spends the hotter part of the day dozing in a bed scratched-out at the base of some shrub, or in a clump of tall grass where the shade will protect it from the hot sun. In winter, such beds are located in vegetation that offers protection from the chilling winds. It becomes active at twilight, and forages well into the night. 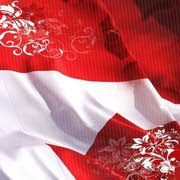 When molested it depends on speed and its keen senses of hearing and sight to elude its enemies. The food includes forage crops, cactus, sagebrush, mesquite, and numerous grasses and herbs. Because of a preference for sparsely vegetated areas, this species often concentrates in pastures overgrazed by livestock, further depleting the vegetation. 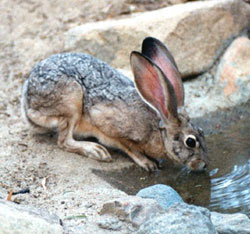 It has been estimated that 128 black-tailed jackrabbits can consume as much range vegetation as one cow or seven sheep. Thus, when these rabbits are concentrated, often as many as 154 per square kilometer, they conflict with grazing interests. 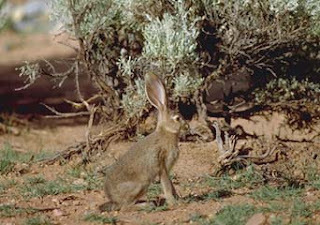 Such concentrations frequently result from overgrazing, hence the wise rancher will recognize an overabundance of jackrabbits as an indication that he has been overstocking his range. The breeding season extends throughout the year in Texas. Two to six litters of one to six young may be produced each year. 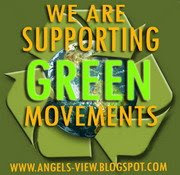 The gestation period is 41-47 days. The young are precocious and active shortly after birth. They grow rather rapidly and reach adult size in about 7 or 8 months. Sexual maturity is attained at about the same time, but young females do not breed until early in the year following their birth. Usually, the expectant mother provides no nest for her young. The natural enemies of rabbits include the larger birds of prey and such carnivores as coyotes, foxes, bobcats, badgers, and weasels. 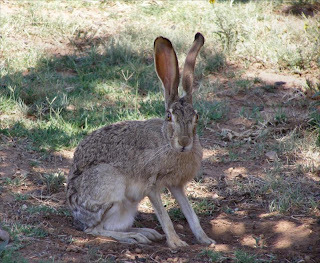 Campaigns to eliminate these predators from rangelands usually are expensive and they may lead to an increase in jackrabbits and many range rodents, which can become serious pests. Source: Texas Parks and Wildlife.